Rated 5 out of 5 by FionaPa from We need more spooky games like this! I like a spooky game. This game did the trick. Nice creepy scenes, dripping water noises and historical flashbacks. The adventure side of the game was interesting, with plenty to do and work out. The HOPs were just the right frequency and difficulty. Unfortunately there was yet another family member to rescue, this time a particularly whiny teenage daughter who didn't seem to do much to help herself. Hopefully she won't show up in the sequel - but I hope there will be a sequel. Rated 5 out of 5 by KellyRegan from The best Best HOG I have played by far. Loved everything about it. Rated 5 out of 5 by readingrattler from Lots of Scenes to Play This game has the right blend of darkness and puzzles-within-puzzles. Rated 5 out of 5 by j9_brenna from What fun! I am not going to recap the story except to say: Taking daughter to prom on anniversary of tragic accident with many deaths during previous prom, 50 years ago. They slip back in time and help the guilt-ridden & find out what really happened. I loved this game. I jumped a couple of times, felt uneasy and was pretty well creeped out. The music is excellent. I never turn off the music and get annoyed when there are long spaces with none. There was music from start to finish, was very appropriate and wonderfully creepified. A few new puzzles, some challenging and entertaining, and a couple were so easy I wondered why they bothered (my only complaint). Also, I love rain and Eipix delivered a lovely heavy rainstorm with thunder. Thank you! I enjoyed reading their credits, too, with all the comments. Pretty funny stuff. And I liked the opportunity to find that one "eye" collectible I totally missed during the beginning of the game. Lots of nice extras in this game. With some of the HOP's, 5 morphing objects must be found to open the list of items to find. Some HOP's were find key to unlock chest, which gets you a knife to cut the ribbon to get the... you see where I am going. I highly recommend this game, especially if you are in the mood to get creeped out! Rated 5 out of 5 by eyesore from Fantastic Phantasmat Love, love this game. The graphics and variety of hidden object quests, puzzles (which I generally despise but did play some of these!) are fabulous. Never boring and quite long. I usually do not play games in one sitting and like to come back to a game and not be confused. This one is easy to navigate AND re-visit. Also, the hint buttons can be set to almost "immediate" which I find to be a real plus. The collectible eye symbol and some of the hidden object searches take a bit of keen eyesight and some are challenging. I have not played the "extras" so cannot comment on those. Thanks developers. Rated 5 out of 5 by Bigbird92 from Watch Out MCF! Thoroughly enjoyable game and a welcome surprise! Couldn't fault it really! Great storyline/graphics/audio quality..More of this please! Rated 5 out of 5 by punseema92 from Great! I really loved this game. Definitely one of my top favourites. 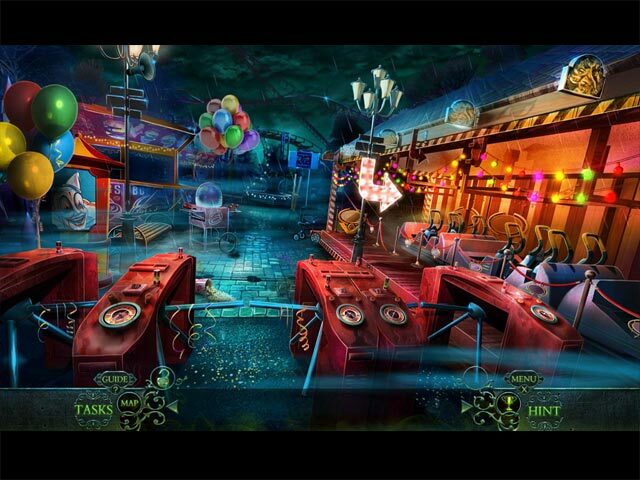 Rated 5 out of 5 by GordanaG from Awesome and scary HOPA Game This is one "scary" game. It was really exciting and tense. Great job on conceptual art and characters. The story is more than great! Rated 5 out of 5 by fatandfrumpy from Great game, good plot,collectibles This game had some mean HOPs! Good story line and a challenge! Graphics were great, puzzles puzzling. I love to read the credits on Eipix! Great game for a winter day! Rated 5 out of 5 by farmguys from The Endless Night Collector's Edition Loved this game as I do all Epix games. Creepy story and lots of challenges. I hated to see it end. Buy it buy it buy it. Rated 5 out of 5 by woodawooda from Another outstanding game from Epix and Big fish It seems like big fish hand picks the most innovative developers to partner with. I love this game a lot. It is one of my favorites now. If you want a highly intensive, high quality game this is it. No crazy monsters in a made up world. this is a horror story about two prom nights gone bad...great stuff. 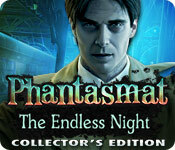 Rated 5 out of 5 by deerod2 from Phantasmat: The Endless Night Collector's collector Not your run of the mill game. Way above average. LOVE IT!! GREAT GRAPHICS! Rated 5 out of 5 by geronimo22 from great game I just loved it . I am big fan of Phantasmat and this one is cool. Love the art, very stylish, atmosphere is great....good staff.. Rated 5 out of 5 by 186FleetStreet from Based on the demo: Really fun game! I loved the original game in the Phantasmat series, and, to be honest, after the second game in the series, I was expecting this one to be another dull rehash of the amazing first game. I was glad to be wrong. The plot was exciting, and as creepy as the original. The voiceovers by Lani Minella were an added bonus, especially since she's reportedly leaving the Nancy Drew series. I also loved the little hidden eyes, which were a cute reference to the hidden eyes in the original game's collector's edition. Rated 5 out of 5 by stacie27 from Great game!!! I won´t reveal any of the storyline but it was really creepy and I just stared at the amazing graphics for a few minutes in each scene. I also appreciate 3 different difficulty levels. Great job! Rated 5 out of 5 by skullfun from Phantasmat 3 ranks along side original thriller!!! 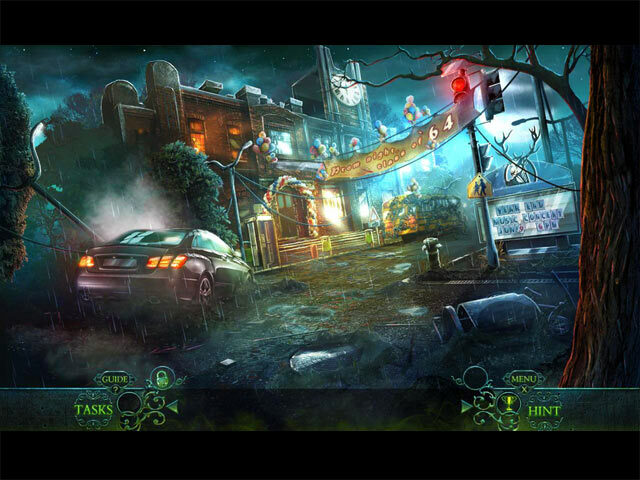 Phantasmat: The Endless Night Collector’s Edition is a time-traveling hidden-object game developed by Eipix Entertainment. Like other casual games, the horrific story begins with a mother taking her beloved daughter to prom for the class of 2015 until the car gets into a wreck. Awaken and alarmed by the sudden collision, the female protagonist notices the absence of her child before seeing a sign for 1965 when the huge tragedy occurred in the town. Eipix takes you on a wonderfully strange quest for the truth, while encountering a host of creepy dead people who need your help throughout the adventure. Embarked on this chilling tale, single-players will also experience new features that’s not available in the standard version: •Experience a different perspective in the bonus game •Watch the behind the scenes video •Integrated Strategy Guide •Bonus Hidden Object games •Downloadable Concept Art •Downloadable Wallpapers •Downloadable Soundtrack •Movies Some of the HO's begin with Morphing objects which I'm not a big fan of, yet they add to game. I found the game difficult enough to really challenge me, just like the original Phantasmat! Enjoy this new edition of the cult classic!!! Rated 5 out of 5 by nicolaw from Reason not to go to prom :) Excitement overload when I saw a new Phantasmat was released. Played the demo for 15 minutes and bought it! Starts off with your car crashing and awake to find your daughter missing. When you get out you are back in 1965 at the scene of terrible occurrence. The HOPS are good along with the mini games. The music and graphics definitely add to the game. My only complaint is that the story line missed out a little and didn't go into much detail about some things and felt it ended just a little too quick without some explanations as to what actually happened. Overall though I loved this game and would recommend it to any phantasmat fan and newbie. Waiting patiently for the next one! Rated 5 out of 5 by haiqal01 from 1st Horror Game of The Year ! This game is created by Eipix and formerly by Codeminion , and the crucible peak by ERS. So it play very different in every sequel. the story is like the original Phantasmat just with a twist , A Tragedy , A car crashed , daughter kidnapped , lost in time , abandoned school and places , lost spirits! basically , I like the game but the conversation is not so clever. First of all , the visual in this game is really clear and beautiful with rainy theme , dark and green gloomy atmosphere that will make you shaky , maybe? The sound effect is just not enough for me , please make more terrifying sound ! the music is really great and fit the theme really well same with voice over , top-notch. Anyway , I encounter few spooky moments , like in chemist lab and the maze in the school , I dare you to hover your mouse to ghost waiting in the hallways. It just not enough , I want more and maybe need blood spills :P. The gameplay is really well done - smooth , variety of HOS and not so challenging puzzles but varied. They are balance between HOS , Puzzle , and Adventure. The HOS are very challenging as some item are quite small for my eyes to seek but like other Phantasmat series , you can switch to M3 mode and they are entertaining as well with power ups . 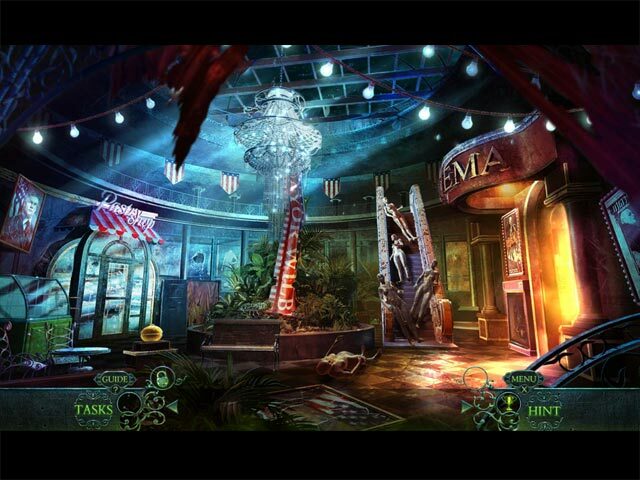 The whole gameplay is smooth and fast pace action.Well back in original Phantasmat , the characters are try to make them believe to player that there is nothing wrong happen and try to bewitch player that they are not dead but in Endless Night , it's just straight forward that makes me a bit disappointed.There is Task button that show tasks and progress of the game , Hint - show direction and trans-portal system so I don't need the interactive map which is also include in the game,Achievements and collectibles indicator and inventory lock which is I don't need it as the inventory stay lock and there are 4 modes include custom. Lastly , I would like to see a pure black bar for inventory and please add black bar screen to above screen because the whole game is a cinematics. the mouse should be faded when cutscenes , and the big cameo for lip syncing is really annoying and I would face the character in face to face. the dialogue should be auto-click to make the character more lively. The CE includes ; Bonus gameplay , Guide , Wallpapers , Picture , making of , souvenir room , replayable HOPs and Puzzles and M3s, music , collectibles [Codeminion eyes logo , 41], achievements, movies. Full pack , huh? OPTION : Adjustable audio , widescreen support , watch credits, toggle full screen and custom cursor. I like this game so much from visuals to gameplay , very well done Eipix , you proof me wrong. Even it is 60 minutes trial , it's worth for me to play the game. This game for adults and the story is too gory for a child.I recommend for Phantasmat fan and all type of player! Rated 4 out of 5 by Majestyx12 from 15 Morphs in 3 Hops only Not every place is so dreary. I enjoyed the amusement park and the mall the most. Loved the shooting range and pin ball machine. Had to keep the music and effects volume, low or off. I can't take these sounds long. You wouldn't believe what it costs to make a phone call. 13 Video, replay 16 Hops and 24 mini-games, 10 wallpapers, 12 concept art, Souvenir Room and Match 3 game. I lost interest after the mall but finished any way. Liked the game. I thought it was a little hard to figure out. Rated 4 out of 5 by krystal59 from good stuff and not go great stuff I did enjoy this one. The art work..as always from Eipix was spectacular. Lots of warm colors like reds and glowing warm golds for the lighting. Super detailed rooms, some with thunder sound effects etc. Really well done. The HO scenes were great. I especially liked the find the morphing objects to get the list ones. Who doesn't love morphing objects? The match three game was extra fun mostly because you didn't have to wait for each line to finish so the screen was exploding everywhere all at the same time. Made it fun. I liked the way the inventory, map, SG and puzzle instructions would fade in and out as you used them or didn't. Nice not to have it there when you weren't using it. The extra chapter was good and long and the collectible eyes carried over into it. There were also a lot of spirits to talk to who's VO"s were very good. My not so great stuff with this game came with the storyline and the mini games. HOW MANY TIMES?? can we play the kidnapped/gone missing theme?? How many??? I just played another one where a little girl was kidnapped as a child then in the extra chapter as an adult. Here it's the daughter in the main game then the wife in the extra. Just over and over and over. It is really starting to drive me crazy. Could we please put in a little effort and think of a different plot?? Is this really the only one available?? Okay okay I'll not get on a rant but really!! Come on!! STOP already!! The other thing for me was the mini games. Here is where the devs gets to really shine. Most games have the combo of HO scenes and the missing pieces and locks but the mini games are where they can really show some innovation. And while I did have some fun with the pin ball one and a couple of others, for the most part they were dead easy and could be done in a minute or two. Now maybe part of that is because I am an experienced player and have seen them many times before but they just didn't shine here for me. But overall I must say that I did enjoy this one. Despite it's done to death kidnapped plot and some super easy mini games, it was very well done with a lot of effort and some lovely art work. I appreciated the effort in the game if not the plot. I do recommend and think most people would like it. Rated 4 out of 5 by 2WhlBMW from Fun Game kept me entertained. Has a map button that makes it easy to go from one area to another.